A fallen Sequoia lies along the trail. 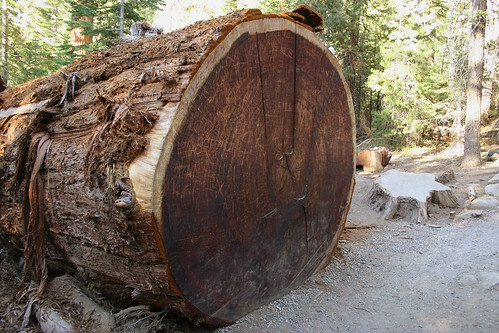 The wood of the Giant Sequoia is very brittle. When a Sequoia falls it often shatters as a result. This entry was posted on March 22, 2008 at 7:54 pm and filed under California, Giant Sequoias, Mariposa Grove, National Park, trees, vacation, Yosemite, Yosemite National Park.